I’m constantly looking for fun, new products to include in my daughters’ lunches, and Del Monte always comes through! 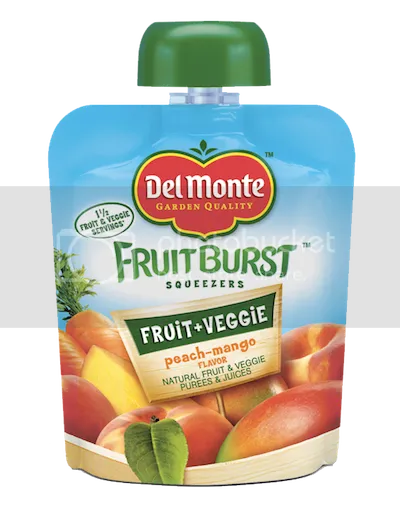 We have their fruit cups in our pantry, but were recently given the opportunity to try Del Monte Fruit Burst Squeezers, and my kids loved them! The consistency of these snacks is a lot like applesauce, and they come in a convenient pouch which makes it easy to eat on the go. No spoon needed! I’d say the flavors are definitely unique. The Peach-Mango, for example, has a combination of peach, carrot, mango and pear purees, and pumpkin, pear and carrot juices in its list of ingredients. My kids especially liked this one. The Del Monte products, information and gift packs have been provided by Del Monte. They would like the Mixed Berry the best. I have a tough time getting my kids to eat their veggies so I’m anxious to try the Fruit + Veggie combo. They love peaches and mangos and blueberries so maybe with these they will eat their veggies! I think my grandson would like the apple cinnamon flavor. probably blueberry would be the one! We love the squeezable fruite but our toddler is growing up so this looks like a good option to take into his kid years. Simply fruit strawberry looks yummy. My daughter would love these. I would love to try the fruit and veggie combined because I have a hard time getting my kids to eat their veggies. It’d be nice if it were disguised with fruit flavor! I think they would like the Peach-Mango. They would probably love them all, but if I had to choose one, I’d say Peach Mango. my kids would like the apple cinnamon flavor. The Simply Fruit ones all sound good! Peach-mango sounds yummy to me. Peach and Mango would go quick in my house. Blueberry would be the pick. I’d like to try the blueberry. Apple Cinnamon would be a hit in our house. I think my kids would really like the Mixed Berry! My son would love the mixed berry but I think the peach mango sounds awesome. My son and I would most like to try the Peach-Mango variety. I think the mixed berry would be best. I think my son would like to try blueberry. It was his favorite as a baby, and now as a toddler, we struggle to get him to eat fruit. My son would love to try the mixed berry. Our kids would like the peach and mango. I know my kids would love the apple cinnamon ( I would too!). I like to try mixed berry. We would most like to try the Apple Cinnamon flavor. There are several that sound good, but if I had to pick, I’d say the strawberry looks the best. My daughter would love the mixed berry! my son will eat anything that comes in a squeeze pouch! 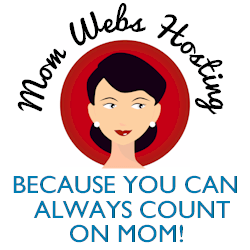 Tabitha @ Saving Toward A Better Life´s last blog post ..Pampers Gifts to Grow – 5 Point Code | expires 10/8! The Peach Mango looks amazing! My daughter loves strawberries and blueberries, so it would be a tie between those two flavors! My granddaughter would love the Blueberry pouch. I think my kids would love to try the mixed Berry flavor. Thanks! I would love to try the apple cinnamon. Sounds very good, Thanks for the giveaway. I would love to try the Peach-Mango the most and I think he would love it too! The kids would like Mixed Berry. My daughter would love the Cinnamon Apple flavor. I think we would all love the Peach-Mango flavored Fruit Burst Squeezers.